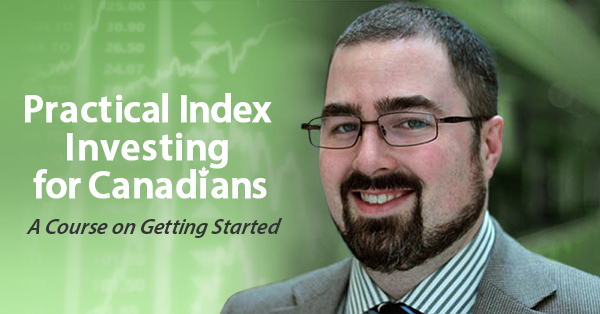 For the longest time, TD Direct Investing was the only game in town if you wanted to invest in a low-cost way in an RDSP. Big Cajun Man detailed the quirks of these accounts (and has provided lots of info on RDSPs in general). Fortunately, there’s some competition now: National Bank Direct Brokerage is now offering RDSPs. And NB is Nest Wealth‘s custodian broker, which means that there’s now a robo-advisor option for RDSP! I’ve long thought that the robo-advisor method would be really welcome for RDSPs, but it just hasn’t been an option for the first several years. I’m glad to see that it’s now possible, though there will be some manual processes to make it happen on Nest Wealth’s end (so you won’t yet see a link on their site — you’ll have to contact them and ask). A few details: RDSPs are only available to those on their top-tier, $80/mo plan. That’s normally for accounts over $150k in assets, though you can opt to pay it if you want to open an RDSP even without the assets. Of course, you’ll have to decide if it’s worth it vs. using TDDI or NBDB (or high-fee mutual funds with other banks) if your accounts are small. There’s a $100/yr admin fee for additional accounts, and since your RDSP isn’t likely the only account you’ll have with Nest Wealth (e.g., if you’re opening one for your kids, then you may have your own RRSP/TFSA as well), you should expect that as well when doing your cost-benefit analysis. Still, that should be welcome news for a few people! Disclosure: I’m a member of Nest Wealth’s affiliate program and have used the affiliate link above — see the side bar for more. Let’s make it clear up front that I like robo-advisors as an investing solution for many people — lots of people might save money learning how to DIY, but that is certainly not for everyone. One lingering point of uncertainty was how they would deal with taxable (or “non-registered”) investment accounts. Once you’re out of TFSA/RRSP room, you’re left to invest in a taxable account, which means tracking and reporting requirements. Typical robo-advisor portfolios have upwards of 10 ETFs, and if you’re automating your contributions with bi-weekly contributions, you could be looking at hundreds of transactions to track for tax purposes. Their websites were certainly not clear on the point — if addressed at all, the language tended to say that they would “provide all necessary information” for taxes, which to my reading sounded like they would just dump the transaction reports from the custodian broker in your lap and tell you to handle it. That could be more work than the robo-advisor was saving you in the first place, and you might be better off with Tangerine or a simple 3/4-fund ETF portfolio on your own. 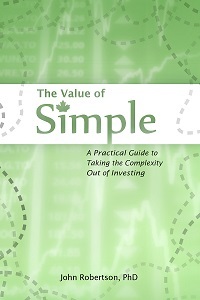 I had heard from a few users of difficulties along these lines, but didn’t have hard data, so I put some general warnings in the book and in a Because Money episode and left it at that — after all, most people will have plenty of RRSP and TFSA room and never need to worry about adjusted cost base (ACB) or realized capital gains/losses. But hearing some horror stories, it looks like a few are really falling down here and making life hard on users who are specifically trying to avoid this kind of complication when investing. I spoke with Andrew Kirkland of Justwealth, and they saw that the tax documents produced by the custodian broker would leave their users with some work to do. They wanted to go above-and-beyond, so they produced more usable realized gain/loss reports. At this point that is a manual process for them, but they’ve had two tax seasons as a firm to give them experience, and are working toward automating this. I received sample reports and for what it’s worth the information you need for your tax reporting is summarized and easy to find. Their unique flat-fee cost structure makes Nest Wealth better-suited for large accounts, where you might be more likely to have used up your TFSA and RRSP room. So I’m glad to have heard from them that they also help simplify reporting by tracking ACB and producing a simple realized gain/loss summary. They also sent me a sample of their reports to review and confirm that in my opinion a typical user would be able to find the information they need for taxes. As the most popular robo-advisor, it’s good to see that Wealthsimple is tracking ACB for its clients. However, I have to add a tiny, itty-bitty asterisk to that, because some of their clients don’t seem to know it. Documentation is comparable to regular broker. They will prepare a report with all transactions for the year. The ACB calculation you have to do yourself. Most of the responses I got were about Wealthsimple, so it’s possible that there’s a PBKAC issue, or that older accounts (the account’s age, not the client’s) are on a different brokerage platform (because behind-the-scenes, Wealthsimple bought their own custodian brokerage but started on VB and some clients might have still been there in the last tax year and, well, it’s a long story). It’s also possible that their user documentation and guides just aren’t super-clear even when they are doing the work. They use “Personal, Joint, Corporate, and Smart Savings”. As a person who knows nothing, that confuses me. I don’t know what my accounts are. They’re all ‘Personal’ to me. They track everything for me. Taxes this year was a breeze. I’d say that if you’re starting from now, odds are good that if you go with Wealthsimple, they will track your ACB for you and make tax reporting easy. For some reason, a few people like to spread their money out: opening accounts with multiple robo-adviors, or dabbling in DIY investing while also having a robo-advisor invest for them. A robo-advisor or brokerage or any firm cannot provide you with adjusted cost base information if they don’t have access to all the transactions that are happening for you. So if you’re out of RRSP/TFSA room and open up multiple taxable accounts, you are setting yourself up for a fair bit of work, as whatever numbers your robo-advisor provides will no longer be accurate. It will be up to you to track across your accounts. To put the caveat more plainly, try to stick to one brokerage/robo-advisor if you have a taxable account. Having multiple accounts means that you will be the only one able to track your ACB/capital gains and you will have to ignore the figures a helpful robo might provide you. Quick disclaimer: I am a member of referral programs for some of the robo-advisors mentioned — see the sidebar for affiliate links and deals. However, this is not in any way a sponsored post, and in at least one case the causality worked the other way around. I’m a big advocate of keeping your portfolio simple and easy to manage. As I was doing laundry and found, yet again, that I’d left a Kleenex in the pocket of a pair of pants and had to pick out little bits of fluff, it got me thinking of this. It’s so easy to over-estimate our ability to handle a little more complexity, to think that even when you’re busy it’s not big deal. Then you find that Kleenex in the wash. Again. This isn’t even an unforseeable or unavoidable error. It’s happened before, and yet it’ll probably happen again. Probably before the year is out, even. It’s another reminder to me that we have to arrange things in a way that accounts for the fact that we all have periods of inattention or sleep deprivation, and even at the best of times human error happens. If the plan is to ignore things for a year or to at a time, there’s less room for execution risk. A simple portfolio is more robust to negligence and human error. All summer Blueberry has wanted to set up a lemonade stand. We finally got one set up this weekend. Lots of lessons in setting up a stand. We didn’t get into the cost of goods sold or turning a profit — all the supplies were donated by us. A big one was about expectations: we did go through two pitchers of fresh-squeezed lemonade (~8 lemons), but did not have to worry about a queueing system for the mob. Lots of down time to contemplate being patient, and that our quiet suburban street only had so many potential customers to reach. However, almost everyone tipped her well above the 25 cents she was charging per cup, so she still walked away with a decent amount of money for her efforts. Totally of her own volition, she choose to donate half the revenue to Answering TTP (which I matched to hit the minimum donation amount). Anyway, I suspect this is not the last we have heard from our little entrepreneur. There are a lot of things in the world to potentially research. Even just restricting the conversation to investing, there are a lot of potential avenues to put your money to work. However, you don’t have to have an opinion on everything. I was on Tom’s podcast recently, and he threw me some questions on bitcoin and peer-to-peer lending. Things like this pop up from time to time, and I usually do have something to say. But just because I have an opinion and want to talk about it doesn’t mean it’s a strong opinion, or that you should go off and waste some time doing a bunch of research. There’s a difference between having an opinion for the purposes of a discussion or entertainment, and an opinion for guiding your investment decisions. I’m not trying to talk you out of ranting about bitcoin or whatever individual stock is in the news or whatever you like to talk about at parties. But just because some new option is there doesn’t mean you have to give it full due diligence and a careful pro/con decision process to determine if it belongs in your portfolio. Sure, bitcoin went up however many gagillion percent through to the end of 2017, but it just as easily could have gone another way — that doesn’t mean you have to start researching bitcoin or every potential growth story in the future now. If you missed out on the crypto craze, you’re probably still doing just fine on your trajectory to retirement (and if you jumped in late last year you probably regret it at this point). And almost all the stuff on TV and in the paper on investing, all the different styles and strategies and specific companies — most of that is just discussion and entertainment. It’s very hard not to talk about something when someone else wants to talk about it. That goes double when there’s a camera on you. Engaging in a discussion on some potential investment is not a pointer that you should be researching this stuff or taking the opinion seriously. Often guests on BNN have opinions on stocks they do not own, to reinforce that point. Buffett had this concept of the “too hard pile” — he didn’t have to come to a buy or sell decision on every stock, if it turned out it was too complex or outside his circle of competence he could just shelve it and move on to the next opportunity. Sometimes in a conversation someone may give you a forced choice “which one would you pick? OK, but if you could only take one with you when you’re stranded on a desert island…” but real life rarely does in the same way. And it’s ok to say that you don’t know and don’t care to waste the time trying to decide. Focusing on the essential building blocks — your savings rate, fees, risk tolerance — is what will help you meet your goals. Debating the blockchain flowchart can make for good conversation, learning about new things can be fun, but that doesn’t mean you have to seriously consider how much of your portfolio to put in whatever the obsession of the week is. Blessed by the Potato is proudly powered by WordPress ♦ Entries (RSS) and Comments (RSS). ♦ 26 queries. 0.509 seconds.